In terms of land area, New Mexico—with 121,000 square miles—is the fifth-largest US state. Overseeing mine operations across such a large area is no small achievement. The New Mexico Energy, Minerals and Natural Resources Department (EMNRD), Mining and Minerals Division (MMD), ensures that mining operations, from exploration to reclamation, are conducted responsibly. MMD uses Esri GIS to process mining operation and exploration permit applications and report economic impacts. Maps provide a baseline for analyzing activities and disturbances by mining operations across the state’s vast landscape. GIS helps MMD track mining activity throughout the state as well as enforce reclamation regulations for surface mines and abandoned mine lands. It tracks land change, maps mine impacts, and provides guidelines for mine reclamation projects and all mandated environmental and cultural assessments before projects are designed. 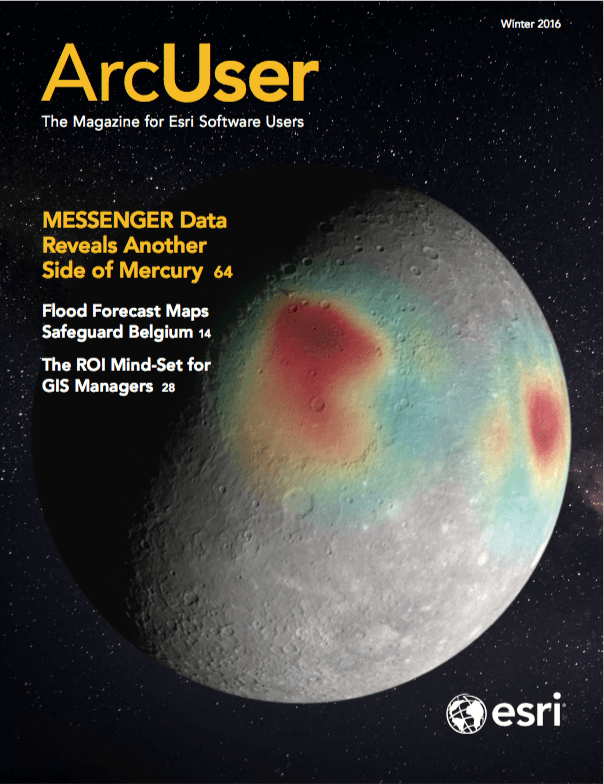 MMD currently uses Microsoft SQL Server integrated with ArcGIS for Server to manage most mine information, its geodatabase, and its web map applications. The division is transitioning more of its geospatial data to the Esri platform. The geodatabase includes data from the state’s resource GIS clearinghouse, mine operators, and others, as well as data generated in-house. 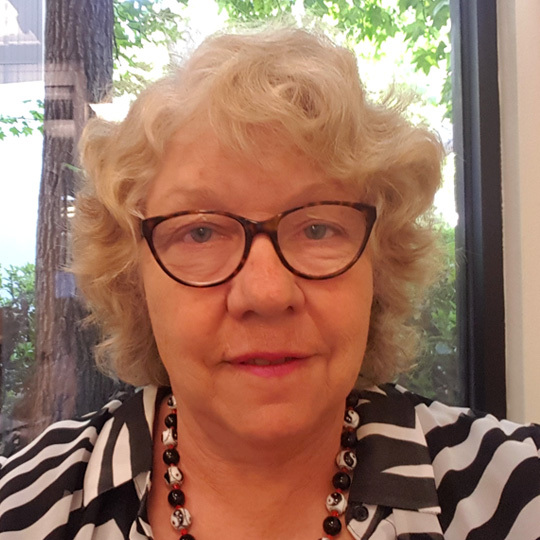 “GIS helps the Mining and Minerals Division prioritize where it should spend money on surface reclamation projects,” said Linda S. DeLay, GISP and remote-sensing specialist at MMD. DeLay employs GIS for prioritizing clean-up activities. She analyzes the location of legacy uranium mines and prioritizes them for reclamation based on proximity to streams, agricultural sites, urban areas, and wells. She uses ModelBuilder, an application in ArcGIS for Desktop used to create, edit, and manage models, and a weighted overlay GIS model to map reclamation priorities. Using this methodology, she created the New Mexico Legacy Uranium Mines map, which helps decision makers decide where to allocate resources. She has presented this map at meetings of MMD and its sister agencies as well as a national conference. The New Mexico Environment Department has a stake in making sure mines operate conscientiously. GIS supports MMD’s collaboration with the Environment Department to consider permit applications. Maps make it easier for the agencies to review and comment on mine permits and closeout plans as well as ensure that environmental standards are included in the application. The department also works with MMD to monitor mining reclamation activities. 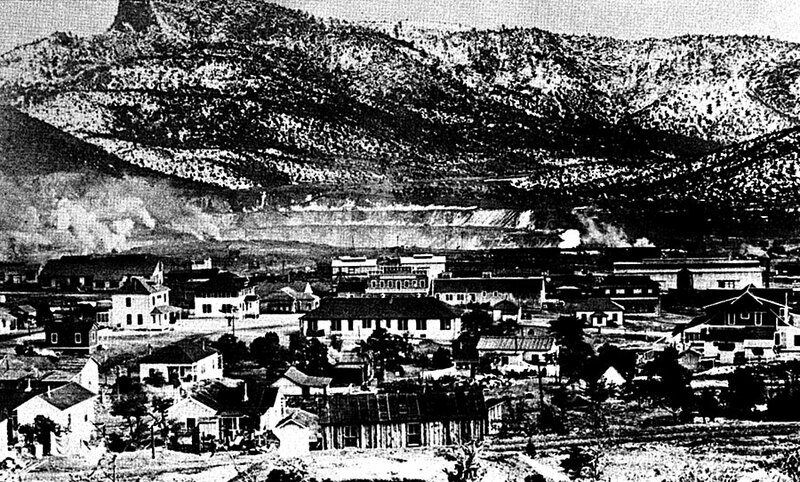 Santa Rita, New Mexico, in 1919 with copper mine in the background. Resourceful MMD staff members keep operating costs down, in part by acquiring data at no or low cost and by forming geospatial or technical sharing partnerships. To monitor coal mine reclamation, MMD applied for a grant from the Office of Surface Mining and Reclamation Enforcement (OSMRE) Western Region to acquire WorldView-2 satellite imagery. Using this imagery along with on-the-ground vegetation surveys, DeLay is creating vegetation change detection maps for the Vermejo Park Ranch abandoned coal mine town reclamation project to aid reclamation specialists in evaluating revegetation and wetland mitigation. While satellite imagery provides a close-up picture of surface mines, GIS renderings of lidar data offer a highly detailed 3D perspective. These sophisticated 2D and 3D maps reveal the condition of an area prior to the commencement of mine operations. To assess the impact to the vegetation and terrain around the El Segundo coal mining operation and another proposed mine, MMD used GIS to document baseline landform conditions. The Coal Mine Reclamation Program orchestrated the acquisition of lidar data for two 25-square-mile areas that had been captured prior to mining operations. It used first return lidar data to render vegetation density images and bare earth returns to model the terrain. The lidar rendering is a blueprint for what the mining company will need to do to reestablish vegetation to its initial condition when it closes the mine and restore the terrain’s original contour, a process called geomorphic reclamation. It is a landscape reconstruction technique that attempts to re-create the original surface surrounding a mined area and replicate its natural drainage patterns. Activities associated with geomorphic reclamation may include redistributing, removing, and/or burying the mine waste as well as reforming stream channels to a more natural pattern and eliminate movement of waste into watershed drainages. To map the new terrain design, GPS devices are attached to earthmoving equipment. Staff have found a less expensive way to capture data by using an unmanned aircraft system (UAS). A compact camera mounted to a Trimble UX5 fixed wing aircraft takes a large number of overlapping orthophotos. Photogrammetric processing of these images generates a point cloud of x-, y-, and z-values rendering a 3D topographic model. MMD used this technique and GIS to create a topographic model of a stream restoration project at an historic coal mining town. Staff calculated the heights of the vegetation by attributing the points with the photo RGB values and classifying points as ground or vegetation, then subtracted the ground elevations. To spot-check the accuracy of the remote-sensing data, staff went into the field to measure the heights of a sample of vegetation for comparison. In addition to its use of GIS in its operations, MMD makes mining information available to the public through its website. 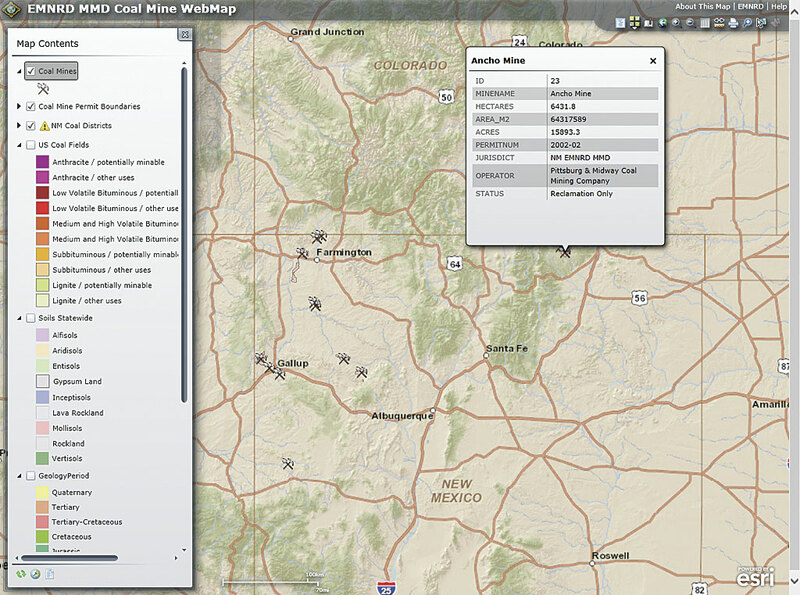 The EMNRD MMD Coal Mine WebMap, which is powered by ArcGIS for Server and built using Microsoft Silverlight, shows the locations of active and inactive mines, coal mine permit boundaries, coal districts in New Mexico, soil type data, geologic period layers, and US coalfields characterized by coal type.